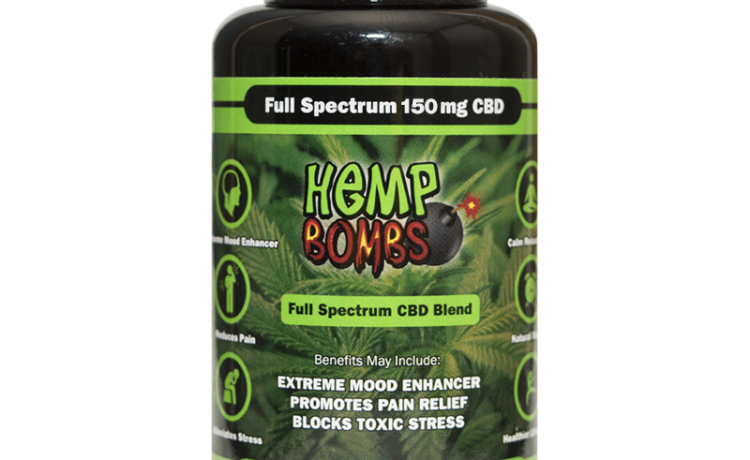 Hemp Bombs CBD Capsules and Oil: A Perfect Match To Relax! Recently I had the oppritunity to try out some products from a very reliable company called Hemp Bombs. They offer a range of quality CBD products like edibles and vape E-liquids. Today I will be reviewing some of there “CBD Capsules” and there “CBD Oil”. I love the pair that these two make! Low in sugar, easy on the stomach, and great tasting. If you would like to improve your quality of life in any way, this would be a great start! Well let me first start off by saying I don’t take pills. I have a very sensitive stomach. Any multivitamin or pain reliever I swallow is usually a battle. So I avoid taking pills all together usually. However, Hemp Bombs CBD Capsules are very gentle on my stomach, I can notice when I am digesting them because I will start to feel more comfortable and relaxed. Some mornings I will have a bit of anxiety, thinking of things I need to do that day can sometimes contribute to these feelings. CBD really helps subside this feeling and helps me start my day off on the right foot. I have yet to try them out when I am totally stressing out. Now that I think about it, I have not been stressed much at all ever since I started regularly taking CBD. However I would like to see how they effect someone that is having a “melt down”. I bet these green babies would help quite a bit! As for the CBD Oil, I felt it was a great complement to the CBD Capsules. I like to use the CBD Oil at night before bed. It has a very pleasing peppermint flavor, so using it after you have brushed your teeth is no big deal. If you are the type of person that suffers from restless legs, or insomnia, I really recommend CBD products before bed. I LOVE the quality of sleep I get now. For the past few years I have not be dreaming or remembering my dreams. Now I dream every night! It’s awesome! Also, If a couple of nights after large meals I had alot of bloating and discomfort. I tried using CBD Oil to help with digestion. On both instances within 15 mins I was feeling great again! So there are many uses for CBD products to help improve your quality of life in many ways. If you are new to the world of medical cannabis and hemp products you can’t got wrong with hemp bombs! I recommend the CBD Capsules for the day and the CBD Oil for the night, the perfect match to relax!